Ross was born on the 13th December 1950 in Fort Leavenworth, Kansas USA. From his American father he inherited a dry sense of humour, and from his Australian mother a future in the land of Oz. After a childhood of bustling populations, shopping malls and white Christmases, Ross was nine when the family moved to Australia and eventually to a farm in Albany, Western Australia. For an intelligent and articulate young man with an a natural aversion to fresh air and sunshine, being on a 3000 acre sheep farm was quite a culture shock. It was soon apparent to him that sheep were probably the least intellectually stimulating company he could hope to be amongst. But thanks to the radio, the Beatles and Bob Dylan, sanity was maintained and a dream for the future was born. Teaching himself guitar and beginning to write songs were the start of a conscious effort to find life beyond being a shepherd. Ross also threw himself into music at his high school (Albany High) playing the lead in the musical "The Music Man" and producing a radio program for local station 6VA entitled "High School Half Hour". He also joined the first of a series of local bands starting with The Sett and ending with Saffron, gigging in local pubs. Ross saw his career not as writer or performer but as record producer. To this end he moved to the big smoke of Perth and did an electronics course. He then landed a job as audio operator at television station STW 9. Here, apart from the joy of rostered shifts, attaching radio mikes to men in lion suits and riding levels on inarticulate sports commentators, Ross was also able to use the facilities at the station to record an album of his own songs. 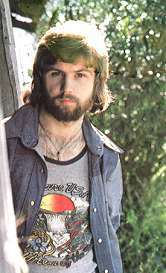 Fortuitously (although not perceived so at the time) Ross had been abandoned (dumped) by his first girlfriend, and the angst and heartbreak provided rich fodder for the songs in this his first album, "Homemovies". Discovered playing in local wine bars, Ross suddenly found himself the replacement support act for Roy Orbison's Perth concert. Sharing his nervousness with the audience worked in his favour and his performance was a great success and he was invited to complete the rest of the tour. Ross's accessible songs, his humour and his innate ability to connect with the audiences earned him rave reviews. Record companies now made approaches to him and soon he was signed to EMI and moving to Sydney to begin his professional recording career. The first album for EMI was "A Poem You Can Keep", Produced by Peter Dawkins and arranged by Peter Martin, it spawned the hit "I Don't Want To Know About It" and won Record Of The Year at the Australian Record Federation Awards for 1973. Ross was also awarded Best New Talent. Not a bad start! 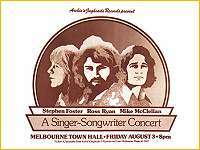 Ross continued to cement his reputation as a superb live performer on campus tours, performances at the Melbourne Myer Music Bowl with the Hector Crawford Orchestra, the Sydney Opera House (with Ariel and Brian Cadd) and a stunning contribution at the Sunbury Pop Festival. As well as his own headlining shows he also toured as support act for international artists such as The Hollies, Helen Reddy, Roberta Flack, Michael Franks (at the Bitter End in NY), Roger Miller and Dr Hook. "I Am Pegasus" was the first single from the new album in 1974, "My Name Means Horse". It was a huge hit and helped propel the album on to triple gold status. "I Am Pegasus" also went gold and by now the first album was also certified gold. "My Name Means Horse" went on to win Most Popular Australian Album at the 1974 TV Week Awards. It is indicative of the respect Ross was accorded, that his first gold record was presented to him by then Prime Minister Gough Whitlam. 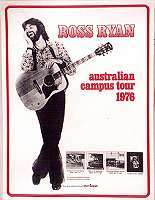 Later that year Ross also represented Australia at Expo '74 in Spokane Washington (USA). Over the next few years Ross made guest appearances on all the top television shows, from "The Paul Hogan Show" to "Hey Hey It's Saturday". He hosted his own television program entitled "Rock Show", and continued to release a number of strong singles and albums, including "After The Applause" (1975) and "Smiling For The Camera" (1977). Towards the end of 1977, EMI released a 'Best of ...' album with a cover and title reflecting Ross's sense of humour: "I Thought This Might Happen 1973-77". This marked the end of the EMI years and the start of the next phase of Ross Ryan's extraordinary eclectic career. 1978 marked some significant changes for Ross Ryan. With his commitments to EMI completed, Ross took the opportunity to 'vacation' in the world of television. He joined old friend Mike Meade (who had just finished a stint as co-host of ABC music show "Flashez") in hosting, writing and acting in twenty half-hour comedy shows for an ABC series entitled "Give 'Em Heaps". Although in the guise of a children's show, the series quickly developed a cult following with older viewers (due in large part to Ross's ability to infuse alternate layers of meaning to the material, particularly his comedy songs). Live performances so far had been largely solo affairs and now Ross looked to extending his musical palette. Over the next few years he alternated solo tours with a series of hand picked touring bands. To keep this idea fresh, each time he embarked on a major tour Ross would rename the band (Cahoots, The Ross Ryan Brothers, The Redeemers, Ross Ryan's Tonight Show etc) and re-form a new line-up from amongst the best musicians in the country. Some of the players who performed with Ross over this period, included Eric McCusker (Mondo Rock), Ralph Cooper (Air Supply), Nigel Macara (Tamam Shud/Ariel), Toivo Pilt (Sebastian Hardy/Windchase), Peter Gifford (Midnight Oil), and Tony Slavich (Ariel / Richard Clapton Band). One member, talented guitarist Broc O'Connor, appeared in most of these line-ups and continued on with Ross as the Rambling Duo Brothers. Throughout this period, Ross continued to write and release a number of independent singles including "Chaplain & Harlow", "Postmark Paradise", "Hello Stranger" and "The Ballad of the Double Bay Batman". 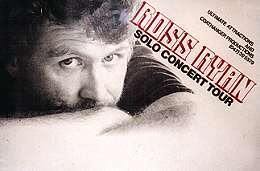 It is a testimony to Ross' ability and reputation as a songwriter that his material has been covered by Australia's leading icons of both pop and country music: John Farnham recorded "I Must Stay", and Slim Dusty, "Isa" (which was also used in 'Slim Dusty: The Movie'. Always looking for fresh ideas as an artist, Ross wrote and presented a one-man audio visual show entitled "Sing The One About The Horse". This quasi-autobiographical story was embellished with new songs, old faves, a plot, comedy, slides and pre-recorded tapes. As well as touring, this show was successfully presented as part of the Adelaide Fringe Festival. Also around about this time he landed the support spot for Van Morrison's Australian Tour. Of course for Ross, change is a constant, and this phase ended with a move of base from Sydney to God's own city - Melbourne. Settling in comfortably in Melbourne, Ross was soon expanding his repertoire. Having seen the potential of the emerging computer world, he was now using them to augment yet another one-man performance. In "You Can Trust Me (I'm A Musician)" the computer not only provided sequenced musical backing, but also some very original comedy. A recording of one performance taken during its season at the Troubadour was released as a collectors' item cassette. By now Ross's penchant for comedy was becoming more widely recognized. Offers of comedy gigs were as frequent as those for his music. Ross was now a regular at comedy festivals and although usually solo, in 1990 he joined forces with established comedians, Rod Quantock, Lynda Gibson and Geoff Brooks in writing and performing "Les Boys" for the Melbourne Comedy Festival. 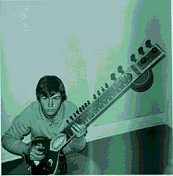 He also worked on a number of radio and live shows with the legendary Steven Blackburn & Mary Kenneally (Tim & Debbie). Ross's talent for both words and music saw this 'songwriter' extend in both areas. He composed the music for an ABC documentary entitled "The Way We Are" and wrote featured articles for The Age newspaper (Mick Jagger 50th Birthday) and the Financial Review (Tamworth Country Musical Festival). Ross had started in the industry with the intention of producing records. By establishing G.I. Recorders with Broc O'Connor, he was now able to indulge this passion. 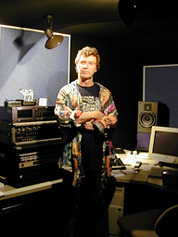 In the additional role of engineer, Ross began producing material for both new and well-established acts in a range of musical styles including Blues with Spectrum ("Spill"), Country with Paul Wookey , traditional Irish with The Wren Boys, spiritual rock'n'roll with long-time pal Mike Meade ("Avatar") and the award winning country album "Only Burning Me" by Dale Juner. During this period he also worked as sound designer for the Playbox Theatre's production of "Rising Fish Prayer". The digital age opened Ross up to the potential of the Internet and he was soon turning his hand to yet another creative area - with his first attempt at web design winning a competition in 'MacWorld' magazine. Although his fledgling design skills were probably pushed over the line by the humour content of this winning entry, Ross took little time in mastering those skills and now has his own domain (www.coathanger.com.au) and web-design is well established as an integral part of Ross's work. He also designed singer Vanessa Amorosi 's site which was nominated for an ONYA award. Promised since 1979 - a new album - 'One Person Queue' - was released in October 2003. Produced by Ross and fellow engineer James Feldman at Ross's studio, G.I. Recorders, - '1PQ' is considered by many as his most consistent release to date. Sales were pleasing and the radio friendly single, "Cool River", received good airplay, as did the included video clip. 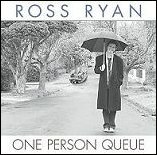 Much of Ross's current live show features songs from this album. Speaking of which. The release in of '1PQ' in '03 also heralded Ross's return to semi-regular live performance. 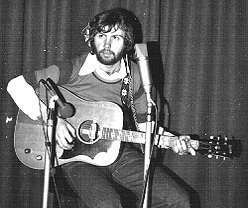 As well as his own solo-acoustic shows across Australia - he supported Carole King during her Australian tour; did two successful tours of NSW and Victoria with Doug Ashdown; played the Melbourne Blues Festival with his large Glen Combo Band; teamed up with Phil Manning and Glenn Cardier for some dates in South Australia; and even - under the touring name of 'Idol & Idle' - played a number of hilarious and often shambolic gigs with long time pal Mark Holden. 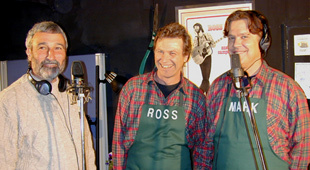 Ross and Mark had earlier appeared together as celebrity gardeners in a duly celebrated 'Burke's Backyard' television episode. Ross then turned up as a guest, along with such luminaries as David Hasslehoff, when Mark was inducted into channel 7's 'This Is Your Life'. Ross also guested on Mark's excellent DVD 'Live at the George Ballroom'. 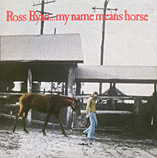 In 2007, Aztec Music issued, for the first time on CD, Ross's classic 'My Name Means Horse' album. 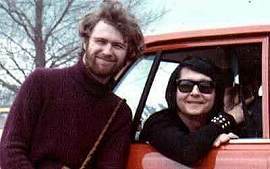 The media and public interest generated by this again lured Ryan into occasionally venturing out of his postcode either solo or with fellow Glen Combo musicians Ken Stephenson and Roy Zedras. 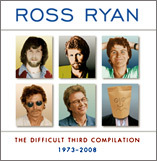 2009 saw the release, through Coathanger Productions, of a new and much requested "best of" album appropriately entitled: 'Ross Ryan - 'The Difficult Third Compilation'. The CD includes two never before released tracks including the single 'Queensland'. A rather zany video clip of 'Queensland' can be found on Ross's web site or by a simple YouTube search. During this time Ross toured widely including gigs in Victoria, Western Australia, the Northern Territory, Canberra and Port Moresby. He also appeared regularly at Melbourne's Crown Casino as part of the lineup of acts for Aztec Record's 'Rock of Ages' and more recently 'Masters Of Rock'. To mark the 40th Anniversay of the 'My Name Means Horse' album, Ross - along with multi-instrumentalist Ken Stephenson and bassist Roy Zedras - will be playing a series of intimate wry autobiographical shows right across Australia. And finally, as always, work is currently underway on a new studio album.